Jim and Joel Caulfield make up this father and son duo training to be wind turbine technicians at Iowa Lakes Community College in Estherville, Iowa. They enrolled in the 2 year program together. Jim is transitioning from trucking to pursue his passion for renewable energy. His son, Joel, wants a career traveling and working with his hands. They’re both excited about joining a cutting edge career in wind energy. 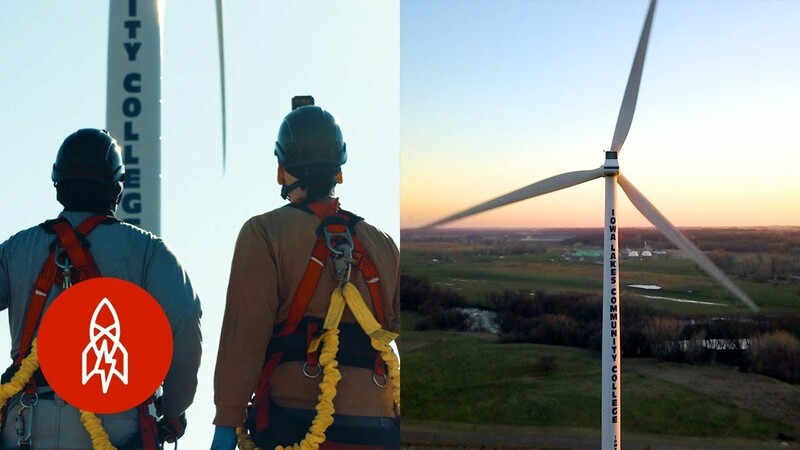 It's programs like these that help our workforce train for a future in renewable energy. Nevelyn, this is great! Thanks for taking the time to share!